The flu is a productivity killer for commercial offices. 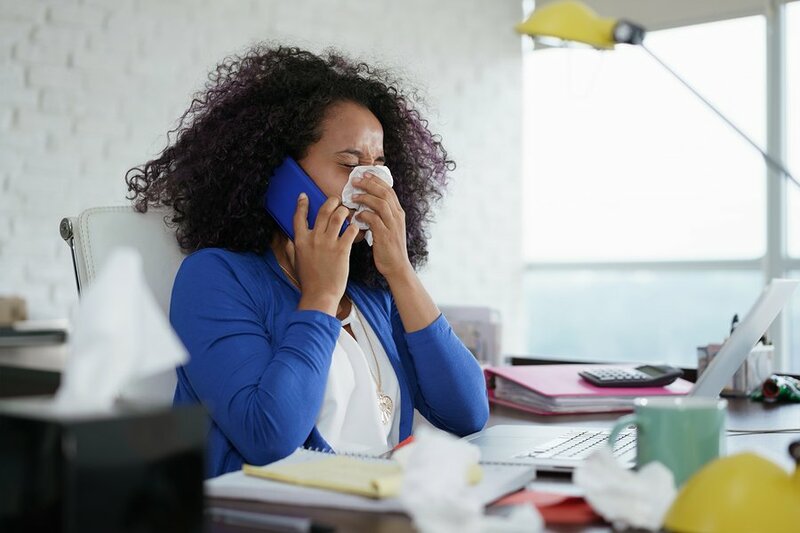 According to the Centers for Disease Control, U.S. employees miss 17 million days of work each year because of the flu, which costs employers an estimated $7 billion in lost productivity. For most offices, an outbreak of the flu can throw all momentum off course. Fortunately, there’s a relatively simple solution: Regular commercial cleaning and disinfecting. Disinfecting your workspace is one of the most significant ways to protect your office against the flu. In fact, routine cleaning is something the CDC recommends for controlling the spread of influenza in schools, which can be applied to commercial workspaces. Offer Flu Vaccinations at Work – Offering flu shots at the office maximizes compliance. Provide Employees with Time Away to Get Shots – Many offices provide employees paid time away from work during the flu season to get shots. Use Flu Liaisons in the Office – Promote leaders in your organization to be “influencers” in the workplace. They can provide information with employees with locations of where to go for a flu shot, information about hygiene during flu season, and other helpful information. Bottom line, maximizing the number of employees who receive a flu shot is one of the most effective ways to protect your office from the flu. Pro Tip: In critical environments and healthcare facilities comprehensive flu prevention programs that include reminders, educational information and incentivizes have been shown to be most effective. Simple hygiene can go a long way to preventing the spread of influenza. Here’s why: On surfaces, the influenza virus can infect people for up to 48 hours, according to the CDC. This strategy isn’t just great for flu season; it can help prevent illness throughout the year. Bonus Tip: Reminders work! According to one study, handwashing reminders improved compliance across all employee groups. Professional cleaning service is one of the fastest ways to slow the spread of influenza. Regular cleaning, though, isn’t always enough. Although using a professional cleaning service will help to slow the spread of influenza, cleaning alone doesn’t disinfect surfaces. Having a commercial cleaning service professionally disinfect your workspace routinely is the most-effective flu prevention tactic. Proper disinfecting kills 90% of germs, including the flu virus. That’s why during flu season, your commercial cleaning program should include regular disinfecting services. Foreman Pro Cleaning is your trusted vendor for quality professional cleaning. We service clients in the Annapolis, Washington D.C. and Baltimore metro areas from our Annapolis, MD office. In addition, we service our Hampton Roads, VA Beach, and Norfolk Metro areas from our Newport News, VA office. We’re here to assist with your office and workplace disinfect needs. Contact us today to learn more about our commercial cleaning programs for area businesses.